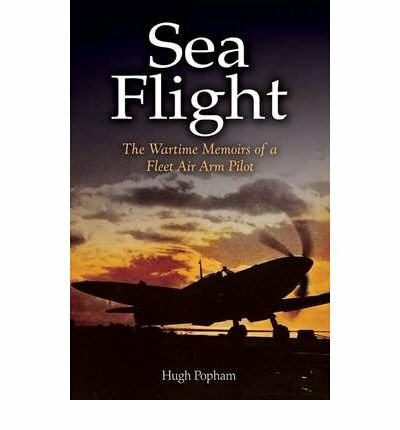 Update: FAA Pilot Hugh Popham's view: From "Sea Flight: The Wartime Memoirs of a Fleet Air Arm Pilot"
Added first-person extracts relating to the Seafire from FAA Pilot Hugh Popham's book, "Sea Flight: The Wartime Memoirs of a Fleet Air Arm Pilot", to the Seafire pages. Popham flew Sea Hurricanes before moving on to the Seafire. He suffered a fractured spine in an in-flight collision while in a training flight with the Seafire, but went on to serve in HMS Illustrious over Salerno before being relegated to "bats" duty aboard HMS Campania. Older PostUpdate: FAA pilot Henry "Hank" Adlam's view: From "On and Off the Flight Deck: Reflections of a Naval Fighter Pilot in World War II"